​The Grafton Lions Club would like to thank all of our hard working Lions members, the golfers, guests, and sponsors who made our 10th Annual Charity Golf Tournament a tremendous success. ​The Golf Tournament continues to be our largest fundraiser each year. Proceeds will allow us to continue with the many local projects and charities that are normally supported by the Grafton Lions Charities, Inc. 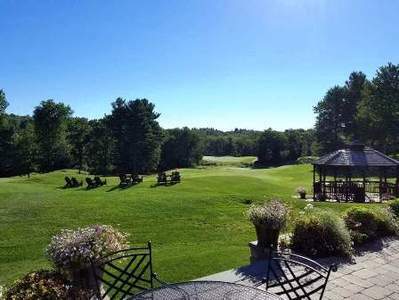 The tournament was held once again at Blackstone National Golf Club in Sutton on Tuesday, August 22nd. The course was in excellent shape thanks to the staff of Blackstone National. Signarama Worcester,The Murphy Family and Wojnar Realty LLC. BJ’s Wholesale Club, Blackstone National GC, Fitzy’s Car Wash, Joy Cleaners & Taylors, Jen Compton /TD Garden Boston Bruins, King & Queen Cleaners, Ken Grew, Lion Kimberly Bagni, Koopmans Lumber, Mendon Green House, Lion Charlie Gagne, Lion Bob Bazinet, Lions Beth & Pete Mena, Lion Betty Wright, Lions Dennis & Debbie Perron, Lion Paul Krause, Lion Pete Cardoza – CSR Financial, Lions Marianna & John Riemer - Riemer Associates Inc., Lions Maureen & Don Clark, Lions Sue & Dave Robbins, Lion Tina Smith, Savers Bank, Star Nails & Spa, Stop & Shop, Grafton, Swirls & Scoops, The Pet Barber, Tony’s Pizza, Wegman’s and Chris Pietre.